Isaac and Rosa were slave laborers during the Holocaust. A Claims Conference grant to Selfhelp Community Services in New York helps them to remain independent and in their own home. 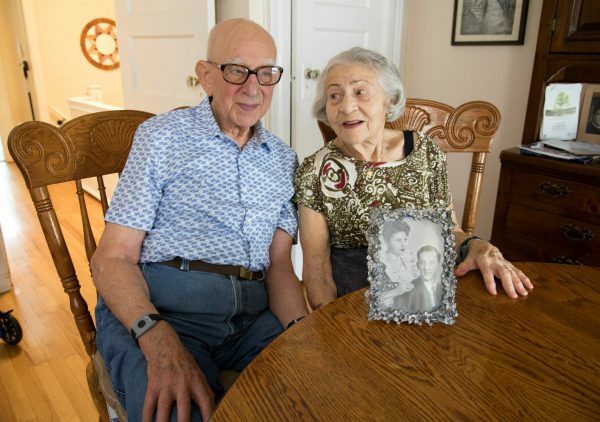 Isaac and Rosa Blum survived the Holocaust in a Polish forced-labor camp, making bullets for the Nazis. Now both in their early 90s, they credit the homecare assistance they receive from a New York City social welfare agency, through funding from the Claims Conference, as the primary reason they are able to still live independently in their Brooklyn home. 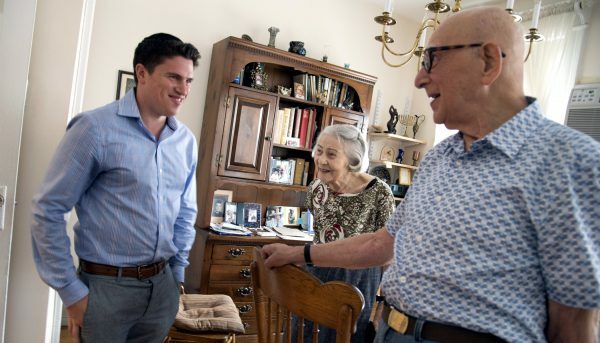 Like the Blums, tens of thousands of elderly and frail Holocaust survivors in New York State receive vital aid from the Claims Conference through allocations of more than $49 million to 47 social welfare agencies and survivor-run organizations. These desperately needed funds enable these organizations to assist Jewish Holocaust victims with services such as homecare, case management, transportation, food and medication assistance, emergency cash assistance and socialization programs. And though Selfhelp also receives federal and local aid, the unmet needs of Holocaust survivors, most of whom are in their 80s and 90s, are growing. About 52 percent of the 55,000 Holocaust survivors in New York City are at or below the federal poverty level, Hanan said. “It’s terrible to think these survivors are really suffering,” he said. “They can’t afford homecare on their own. Maybe they don’t qualify for Medicaid. They have food or rent or health issues. These issues are exacerbated as they age, and they have to make a choice” which issue to spend their money on, he explained. Out of the total Holocaust victim population in the city, about 35 percent are immigrants from the countries of the former Soviet Union, Hanan said. More than 450 survivors receive homecare assistance from Selfhelp, with more than 65 percent of Claims Conference grant monies allocated to this vital service, Hanan said. These survivors receive a visit from their social worker four to six times a year. Some receive visits monthly; those in crisis can see a social worker three times a week. Along with Selfhelp, 38 other agencies are partnered with the Claims Conference to provide support to Holocaust survivors in New York City and Long Island; seven in Westchester and Rockland counties, and one in Buffalo. Mark Shafer, a social worker with Selfhelp Community Services, visits the Blums in their home. Isaac and Rosa Blum live in a tidy two-story house in the Brighton Beach section of Brooklyn. Isaac, who was born in Argentina to Polish émigré parents, was caught in pre-war Poland when his family went back for a visit. He and Rosa met as young adults in the ghetto of Czestochowa, Poland, and they’ve been together ever since. During one roundup of the ghetto, the Nazis selected Isaac to work; Rosa was in the line to go to Treblinka. Thinking quickly, Isaac said, in German, to a guard, “I want my sister,” pointing to her. The Nazi pushed Rosa to the other line; the rest of their families were sent to their deaths. The couple spent the war doing forced labor at an ammunition factory which made bullets for the German army. “We were working 12 hours a day as slave workers,” Isaac said. “As long as we were working, we were alive.” The Blums know how lucky they were: “The place we were was a paradise compared to others. They didn’t gas us because they needed us,” Rosa says bluntly. The couple was liberated in 1945 and went to Argentina, where Isaac’s older brother still lived, before immigrating to the U.S. in 1963. Their son passed away a few years ago but they frequently see their grandchildren; their daughter lives across the street and keeps an eye on her parents. “We are quite independent,” Isaac says proudly. He often attends socialization programs at Selfhelp. But both Isaac and Rosa have neuropathy in their legs and are unsteady. They readily admit that without their homecare aide they would not be able to live at home. “She reminds me to use the walker,” said Rosa, who has already fallen five times at home. “And we are very appreciative for the help. Selfhelp is important because we can count on someone,” Rosa says.